Benjamin Franklin once said an investment in knowledge pays the best interest. Sadly, basic finance is not taught in schools and your children’s attitude is generally determined by the influences around them – parents, family, friends, advertising and social media. If you don’t discuss money in front of them they won’t learn anything about it. Whatever emotions you display – such as fear, worry or indifference – will colour their own relationship with money. If you are mean with money or overly generous, if you never waste a penny, or if you spend like there’s no tomorrow, your children will be watching and learning. Given that they are unlikely to learn much about money from any other quarter apart from the odd class in school when the switch off mode is applied to anything connected to finance – and given the way debt has spread through society like some super virus – it is obviously important that you continue to educate your children about personal finance. Pocket money is another major issue in most households. Giving it first of all depends on parents’ financial situations as well as their own values. Research indicates that parents on average give national school-going children up to €10 per week, while at secondary level, children are given €20 per week and 3rd level a whopping €60 per week. Even if you can afford the €10 per week, it might be useful to encourage your children to save some of this for their future needs – like buying Mum and Dad Christmas presents or their own phone credit when of age to have a mobile. Money is a family thing. Children should be versed in the basic concepts from as early an age as possible. Your approach and attitude to money will influence your children. Regardless of your level of wealth, everything you say or do in relation to money will have an effect. 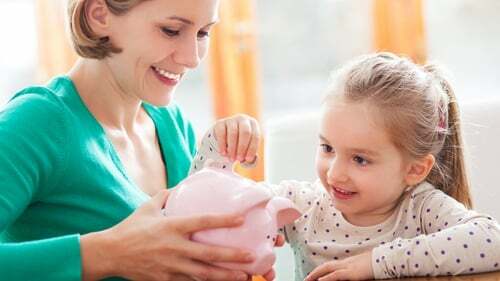 Given that they are unlikely to learn much about money from places outside the home and given the way debt is spreading through society like some super virus, it is obviously important that you should educate your children on personal finance. Pocket money is a good way of starting that process. In Ireland today, our children really do not appreciate some of the hardship parents went through and still, for some, currently experiencing. In some respects, this is a pity because parents’ values are generally so much different to their children’s. Clearly, what you don’t want to do is worry your children about money unduly. Still, I believe there is a lot to be said for showing them where your income comes from, and what you then do with it. When your children realise how well you manage money, they can’t fail to be proud of you. Naturally, they will grow up not just wanting to be debt free and rich enough to retire when young – but actually understanding how this can and could be achieved. What better legacy could you leave? Don’t let them leave home without good money habits and a genuine understanding of how money works.